By default we’ll send you notifications to let you know if you left your timer running, or if you haven’t tracked any time in a while. If you’d prefer to opt out of these notifications, head to your Profile (top-right). 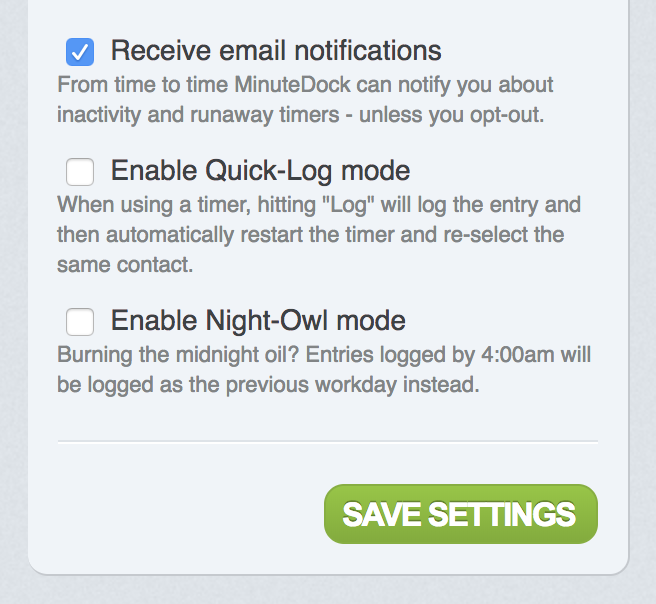 Click ‘more options,’ and uncheck ‘receive email notifications.’ You can switch these back on at any time.